Comment: I would like to get an estimate for soundproofing a sound studio in a commercial building. Comment: Unfinished, uninsulated, easily accessed attic in Victorian home in need of insulation. We are strongly leaning towards closed cell foam. The company hired for the job will be a licensed outfit that fully understands the challenges of working on homes in historic districts, as well as one that is willing to interface with a roofing company to address the need for ventilating a roof with no soffits. Comment: There is already preexisting blow insulation but our home inspector recommended adding more. Kansas City Insulation Contractors are rated 4.78 out of 5 based on 753 reviews of 25 pros. 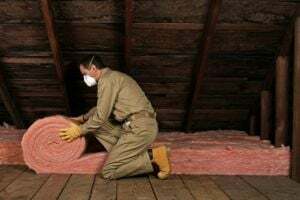 Not Looking for Insulation Contractors in Kansas City, MO?